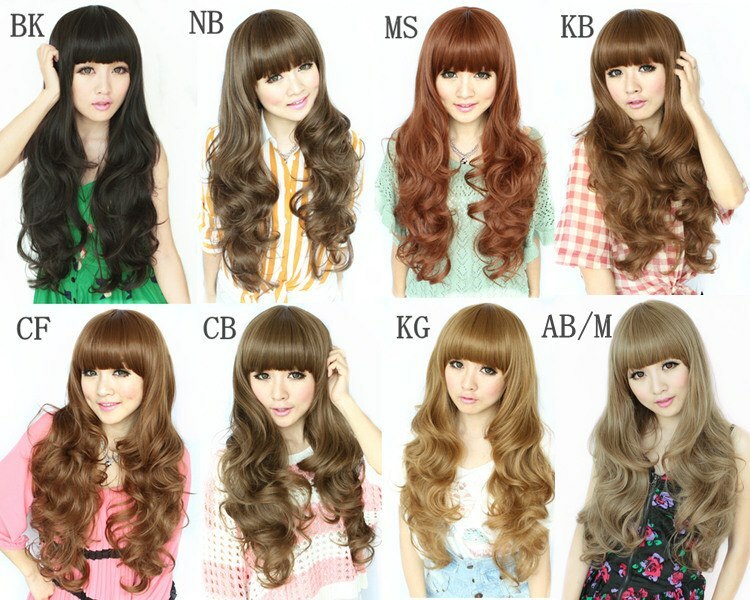 It's a wavy hair from Brightlele, and I pick medium honey gold colour!! That's the model of the wig.. I picked it because it has such a natural soft wave, and I was confused whether to get AB or KG instead.. But I have tried ash color a lot of times, so I kinda missed warm color. Therefore I picked the warm honey color!! KG !! 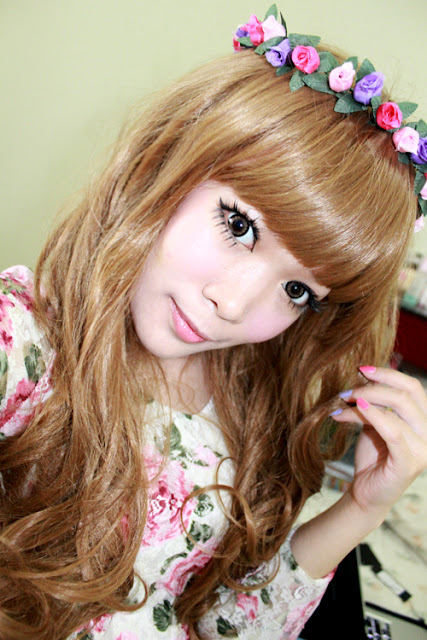 The main trick to make it less less shiny is to pour baby powder on the wig, and let the powder absorb the shine.. I can do it, but I just want to show you the shine on the wig first.. You can always help by doing that trick! On the photoshoot, I have already put powder on it so it's less shiny.. And I love how thick the wig is and as always, very easy to use as well as comfortable on my head!! The wig was kinda tangled because of the strong wind on the photoshoot T___T But nevertheless, it's still a good wig and I really want you guys to try this one as well because it's so good! OH! and get the BLONDE one pls! The wig is pretty long, it's around my hips, so self-shot taken picture cant really show you how it works.. Therefore I have someone to take picture of my half body shot! If you want to book one to take your picture, you may contact him on his fb~! I find this colour is very versatile~!!!! <3 Depends on the lighting, and the color will change. So it's all good! 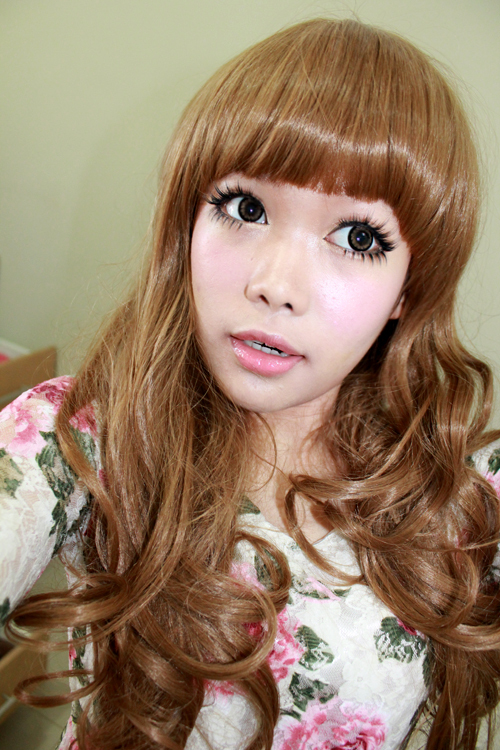 Because I know that not everyone want to bleach/color their hair.. And wig is very good to try a new style! I bet Hyuna would be offended to be categorized with the same level as me la, so please dont do that haha! All in all, I love the wig! Do you personally want to own a brightlele wig too? cute as always, and I looooooove your new blog layout! stella, ajarin cara ngerawat wig donk.. kalo pake wig rambut cepet lepek n rontok ga sih?